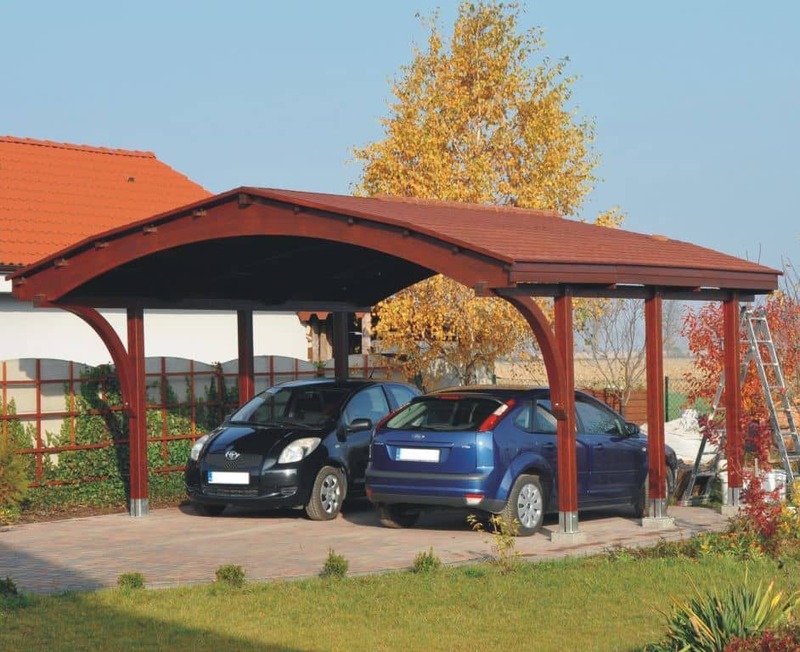 Nevada twin carport - Jagram-Pro S.A.
A combination of square timber and laminated arches results in the creation of a wooden garage called Nevada. 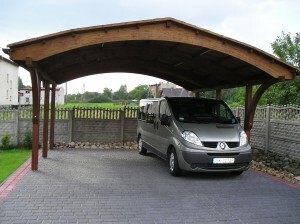 The carport is big enough to hold two cars. 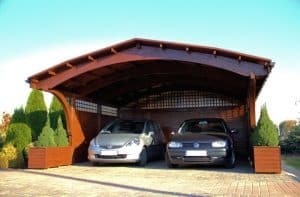 It is possible to expand the carport with fencing spans, thanks to which it will not be any different from a traditional garage. 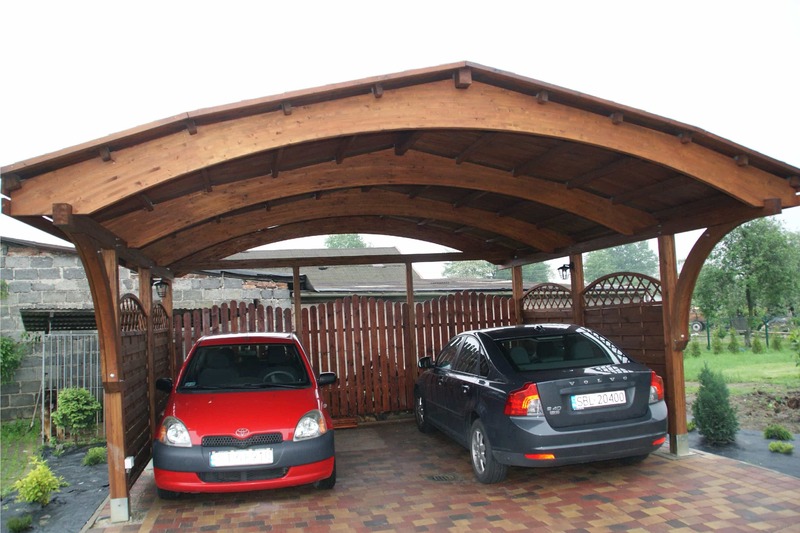 Our carport is a car shelter-type structure made entirely out of structural, bent laminated timber. The number of spaces above shows how many cars may be stored. 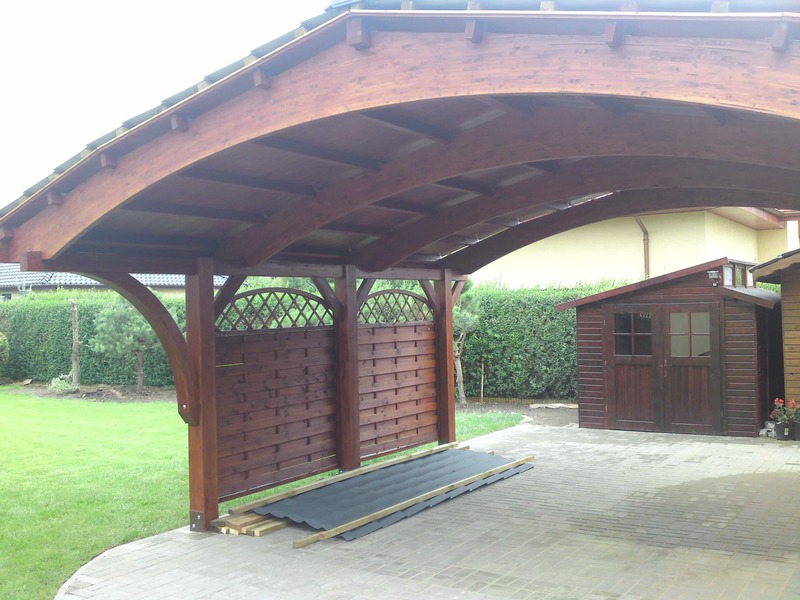 The quality of wood used for the carport is governed by strict guidelines verified by our quality controllers, from the moment sawn timber enters a Jagram-Pro S.A. Susz manufacturing plant, to packaging and shipping via our transportation, or an external forwarding, all over Poland. Our professionalism started 30 years ago when the company was established. The most important aspect at that time was quality and earning the certificates to prove our quality was of paramount importance. This is topped with product functionalities and features, envied by manufacturers of standard structures.